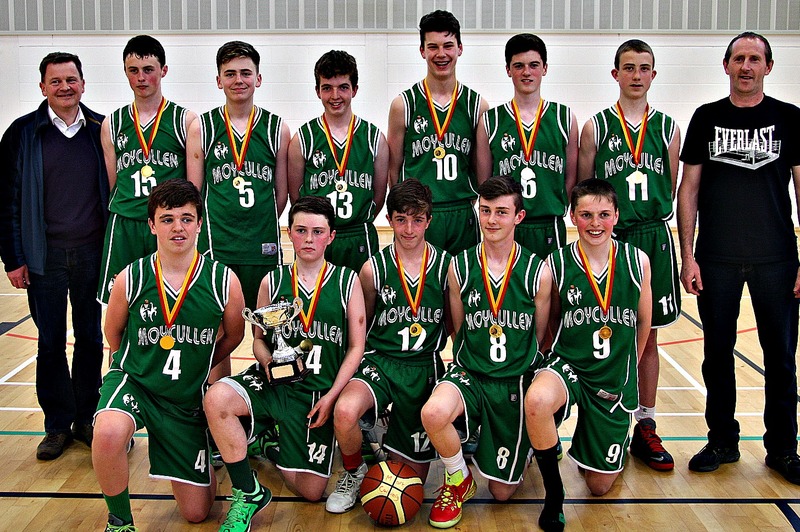 Moycullen U15s rounded off their season with a fine win against Maree in the U15 League Final, and so maintained their 100% record in the league, and also added the Galway League title for the third year in a row. Back Row: Jim Duggan (Manager), James Lyons, James Duggan, Fiachra Mulkerrins, Mark Convery, Padraic Lenihan, Cathal Walsh, Martin Burke (Coach). Front Row: Paul Kelly, Kevyn Burke, Eimhin Mulkerrins, Paul Culkeen, James Connaire. Moycullen started well, with early scores from James Lyons, Paul Kelly and Mark Convery. Playing an excellent pressing game, they built up a strong lead with further baskets from Kevyn Burke and Pardaic Lenihan, and led Maree by 23-2 at the break. In the second quarter, they maintained their lead as Maree came back into the game, and Moycullen led 32-11 at half time. 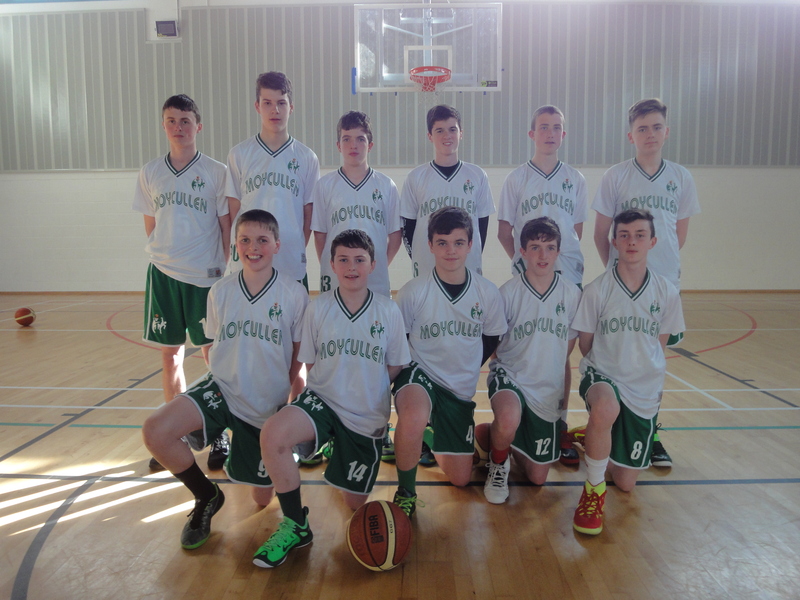 In the third quarter Moycullen extended their lead to 49-18, and finished out the game with a 58-26 scoreline. It was a great performance to finish the season, and well done to all the players for their dedication and efforts throughout the year. Scorers: James Lyons (13), Mark Convery (11), Paul Kelly (9), Padraic Lenihan (7), James Connaire (6), James Duggan (6), Kevyn Burke (4), Paul Culkeen (2).